When your loved one dies, you have to make hard decisions, including how they are going to be buried. Choosing a morgue is one of the first decisions you will have to make before you even start making burial arrangements. 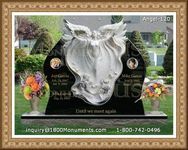 There are lots of funeral homes which you can opt for. To find a good home keep a few tips in mind. Start your search for a morgue. Talk to close family and friends and ask them to make referrals based on their experience. You can also search online for any local morgues near you. Compare the different options that you have, based on prices, services and reviews provided. How much the morgue charges for its services matters. Prices differ, so it is always best to compare costs from different morgues. Ask for a price list so as to know how much is charged for each service that is provided. Most morgues provide multiple services, apart from preserving the dead body. Find out if you can get additional services. You can also choose from the package deals that are available or you can just choose one or two of the itemized items. Depends on the services you want. The quality of customer care matters. The morgue attendants should be able to handle you in a professional manner. They should also be sensitive to the needs of the family members to avoid conflicts or adding more grief to them. Proper communication and co ordination should be a high priority item, so as to ensure that everything goes as planned.